This rare film tells the story of two students that meet in a laundry, of four ruthless criminals and the hapless family of a jewelry store owner. The gangsters take the family, two parents and a 16 year old daughter, hostage at their home and force the dad, who owns the store, to lead them to his jewelry. Things don't work out as planned, and in the end of the coup, the whole family is dead. As the thugs flee, the young students accidentally run into them and are taken hostage. Because the female young student is the grand daughter of a senator, they want to force the senator to pay a large ransom for the two students. But again, things don't go as easy as planned, and soon, the two students are fugitive and hunted by the bad guys. Even though this production must have been very low budget, it belongs to the most interesting revenge movies that spread in the 1970s after the success of films like "Deliverance" or "Last House on the Left": The plot is quite unique and well executed. 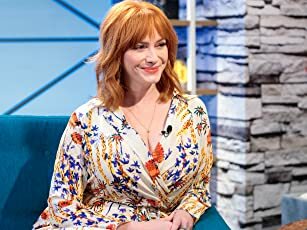 The villains are real bad guys, talking foul mouthed, love to act violent against their hostages and sexually harass their attractive young female prey. The movie's scene at the jewelry store's family's house is very unpleasant to watch, as the one thug who stays alone with the bound and gagged mother and daughter, violates the daughter and stabs the mother to death as she tries to protect her offspring. "Scream for Vengeance", the film's international title, also includes some gory shoot outs. Unfortunately, some of them are not perfectly executed, but still effectively done. One particular highlight boosts even a pitchfork murder that could come right out of a horror movie! But the best thing of the film is that whenever it could become too lengthy or talky, something happens. So it never becomes boring (like some other revenge movies do after the first outbreak of violence) and always keeps on going. 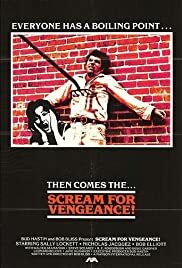 All in all, "Scream for Vengeance" is a much too rare, vicious little revenge film that shouldn't be missed by moviegoers that like this sub genre. Rating: 7 out of 10.